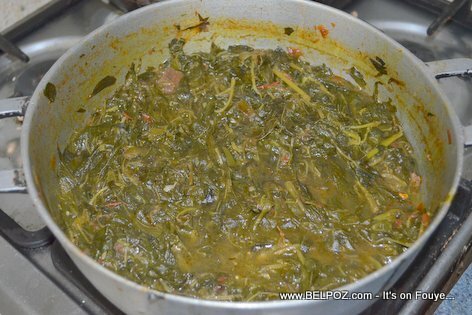 Many Haitians love to eat lalo but lalo legume cooked with beef is the best. Discover this simple recipe. What you are looking at is 20 gourdes worth of lalo and 100 gourdes of beef meet. Add 30 gourdes for the ingredients, you have yourself plenty of lalo to eat for 150 gourdes.